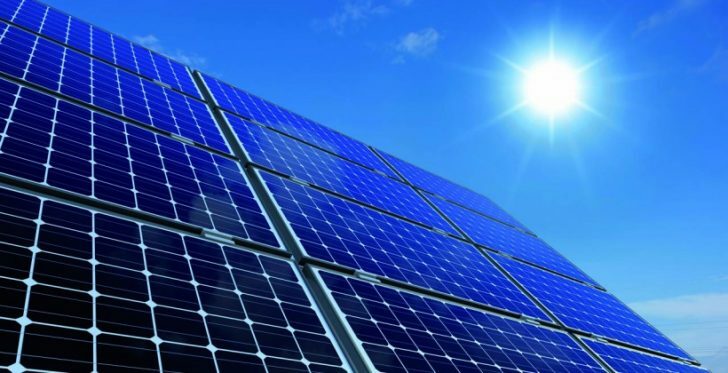 A team of researchers from the University of Exeter developed a solar cell with a record 60% efficiency. The idea behind this breakthrough is similar to using a “funnel”: corralling an amorphous collection of electrical charges into a more precise area, where they can be transferred into use. Using this idea, the researchers increased the efficiency of a solar cell from 20 to 60 percent. The Exeter team sees their research as a “gateway” for further research and development. In order to execute this idea, they took a cue from the IT field. They used a strain, a measurement of the original length of a material compared to its length stretched or compressed. Engineering it into a material can enhance its electrical properties. However most of the conventional materials cannot be strained a lot because they easily break apart. On the other hand, 2-D materials are a valid option for creating a solar cell with 60% efficiency. These thin materials ( f.e. graphene) can sustain a high level of stress ( about 25%, compared to 0.4% for conventional materials). The team used a new material called hafnium disulfide. One tantalizing charge transport phenomenon that could be accessible owing to large values of strain is the funneling of photoexcited charges away from the excitation region and towards areas where they can be efficiently extracted. Maybe in the near future, solar cells with 60% efficiency alone will replace the coal plants. However, until then, there won’t be a lot of them. Combination of other renewable types of energy and some other non-renewable sources (natural gas), which are more eco-friendly than coal, will replace all the coal plants. A good example of such replacement happened in past weeks. The massive Colstrip coal power plant has been suffering through an unplanned shutdown, but its customers are not affected a lot. All of them were able to fill the electricity gap with non-coal sources and open market power purchases. Prices of the purchase are often even lower than the cost of Colstrip power. We cannot be sure that it is sustainable over the long run, but we believe so. What is the cost or anticipated cost for Hafnium? Based on some review of available material, it does not look promising. That would be disappointing and researchers need to stop wasting valuable research dollars on stuff that does not scale! Get the periodic table of elements and do it right the first time! I hope my observation is incorrect.